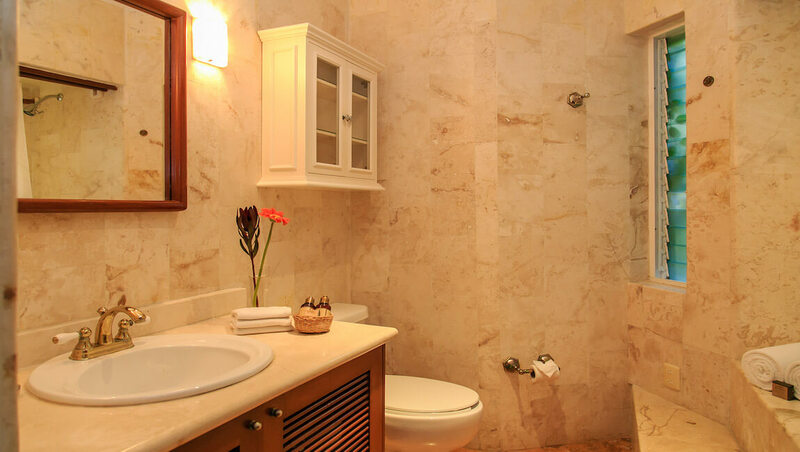 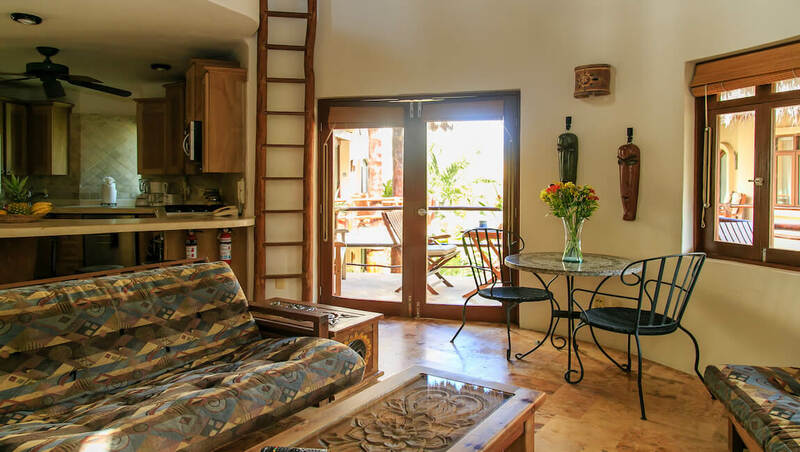 Sacbe Penthouse Ceiba features 3 bedrooms, spread out over 3 different levels. 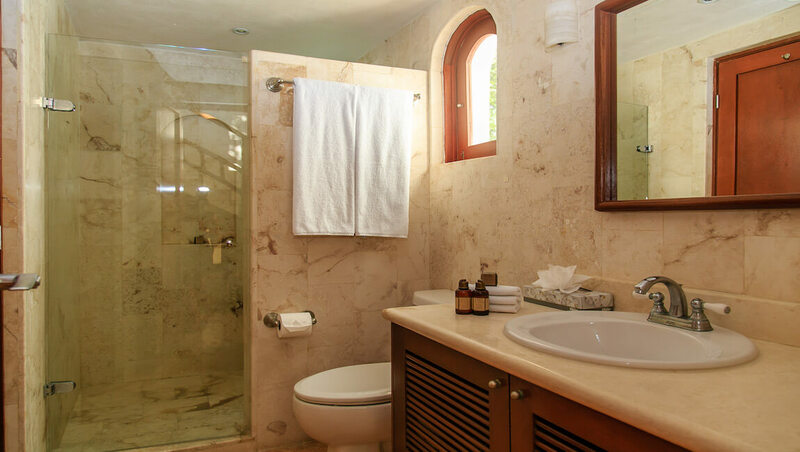 The first level features the master bedroom, with a king size bed and an ensuite bathroom with Jacuzzi tub, and a kitchenette. 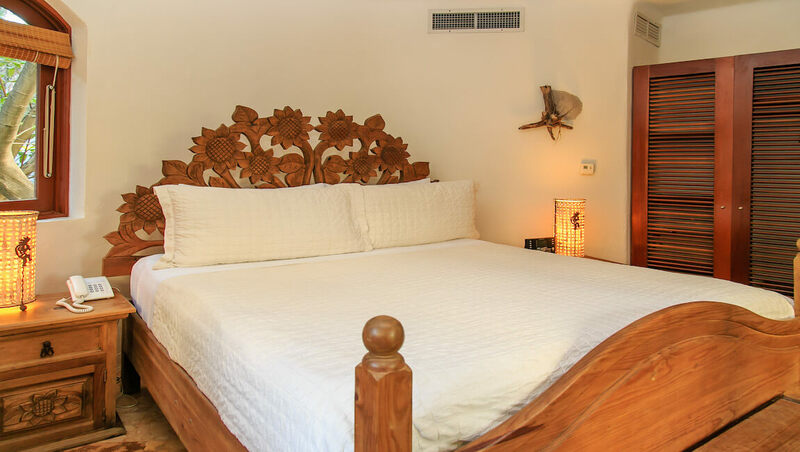 A second bedroom on the first level also has it’s own private bathroom and a double bed with a terrace for the guests to share. 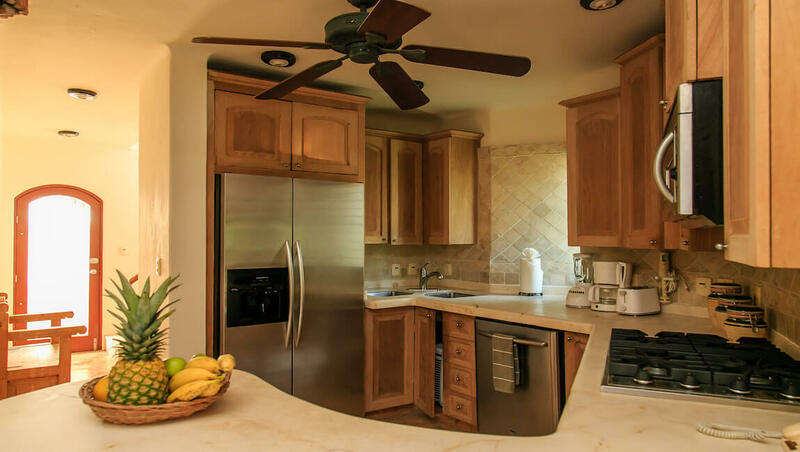 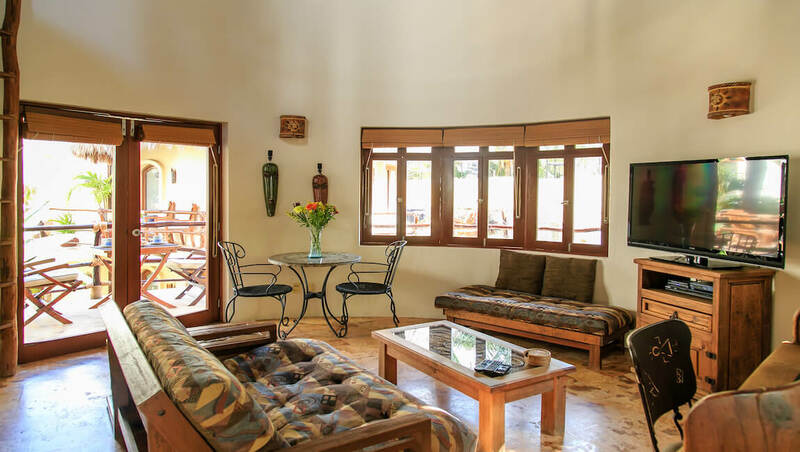 The second level is the living space, enjoy preparing meals in the equipped kitchen and relaxing in the comfortable living room. 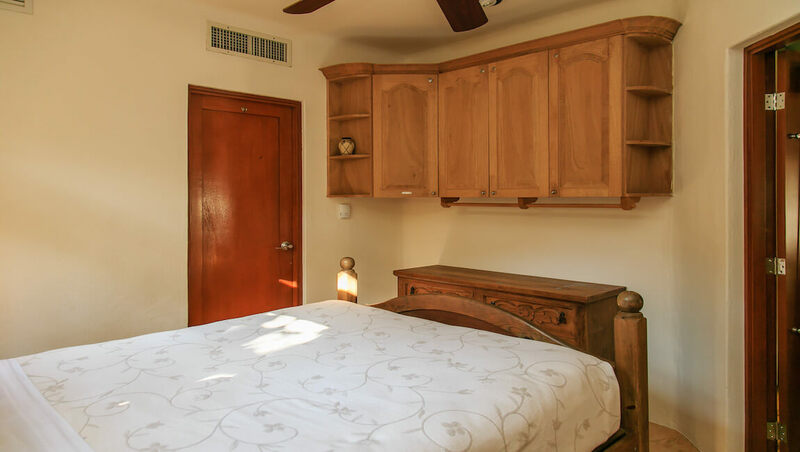 A third bedroom on the second level has a queen size bed. 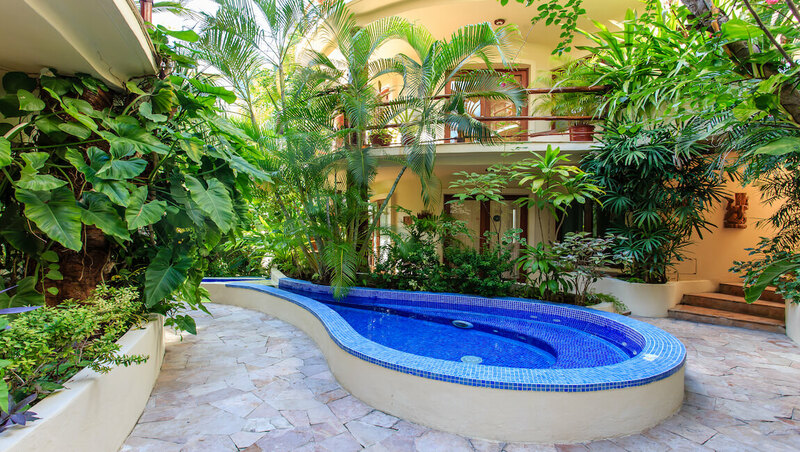 And finally venture to the third level to enjoy the amazing private rooftop terrace that has loungers to enjoy and overlooks the garden interior of the building. 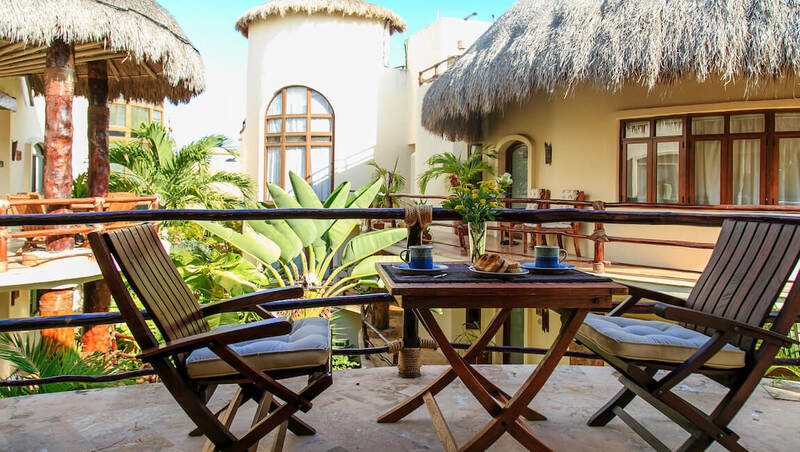 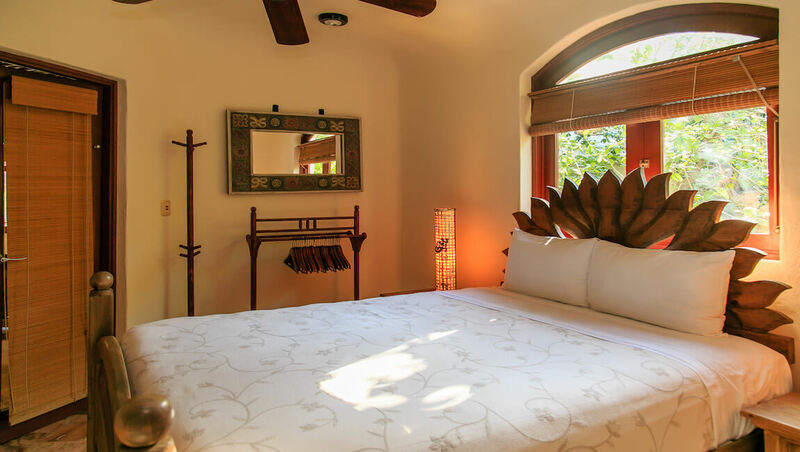 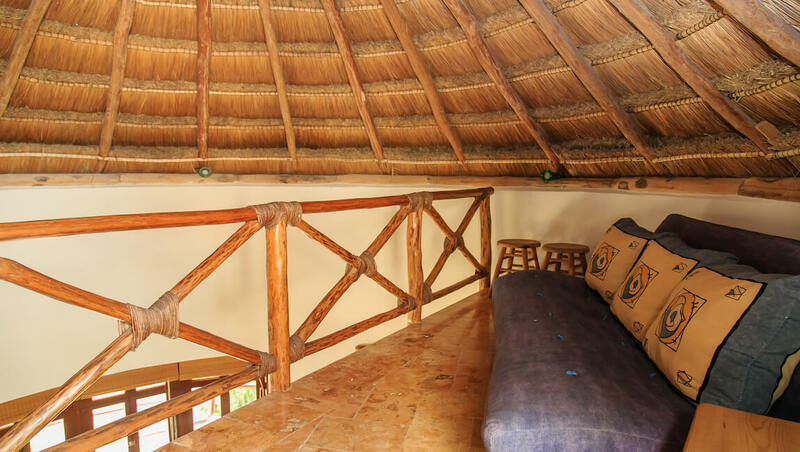 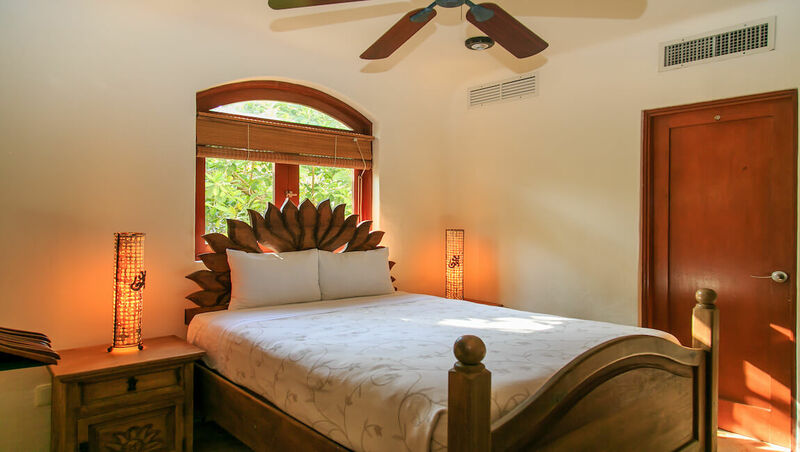 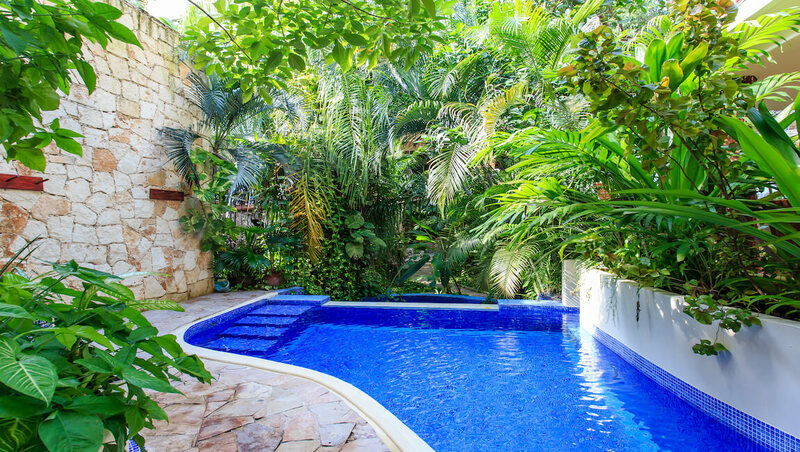 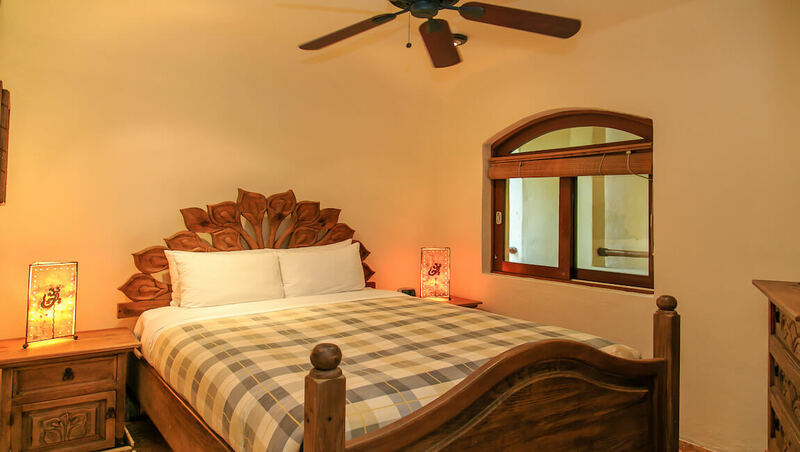 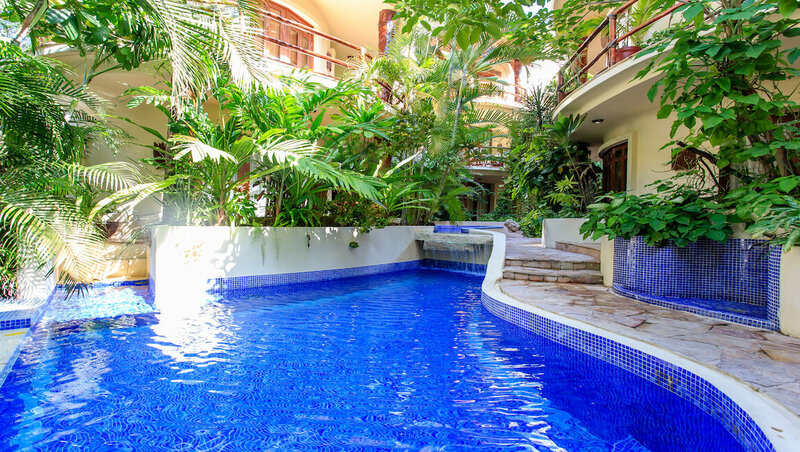 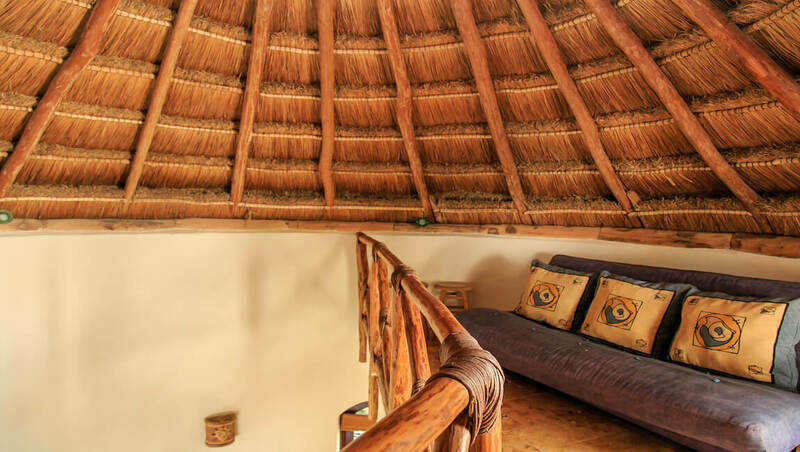 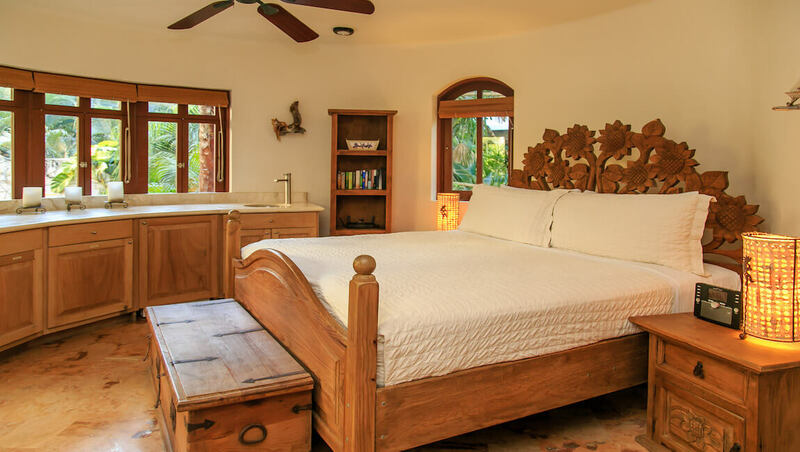 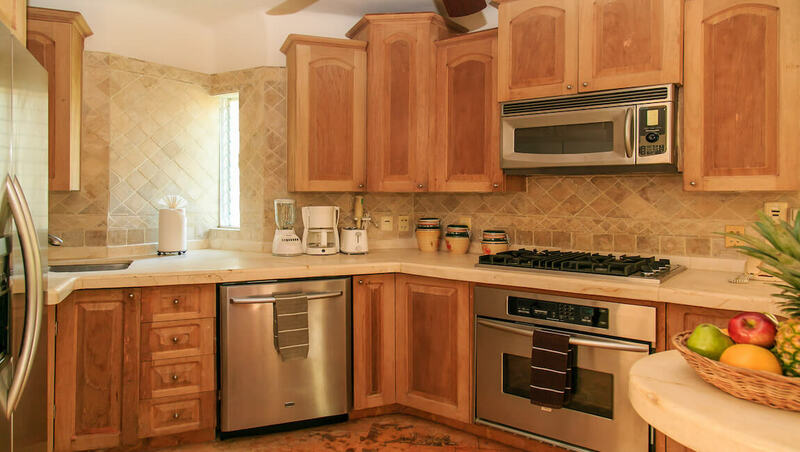 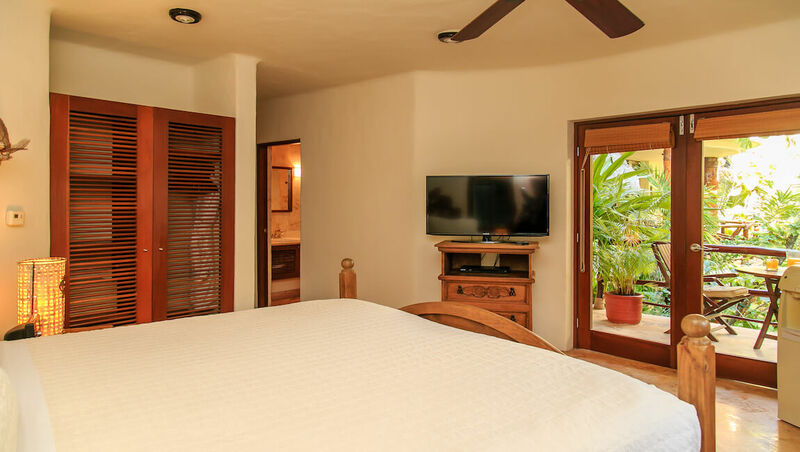 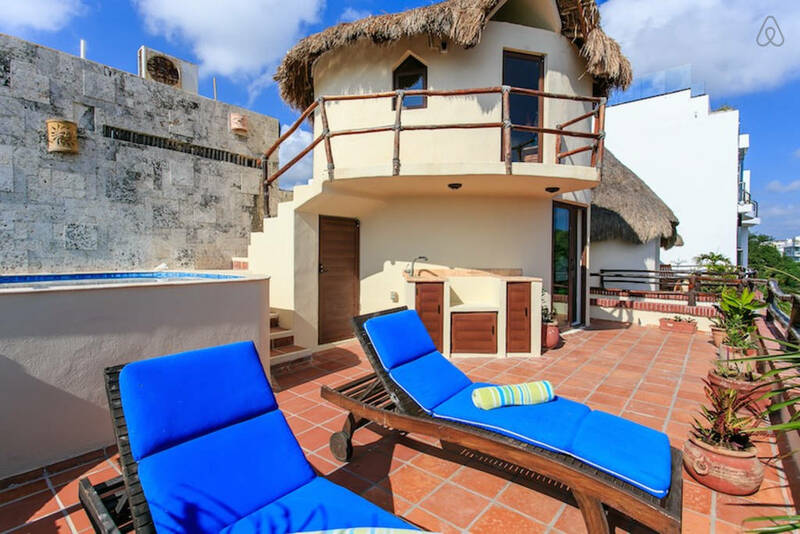 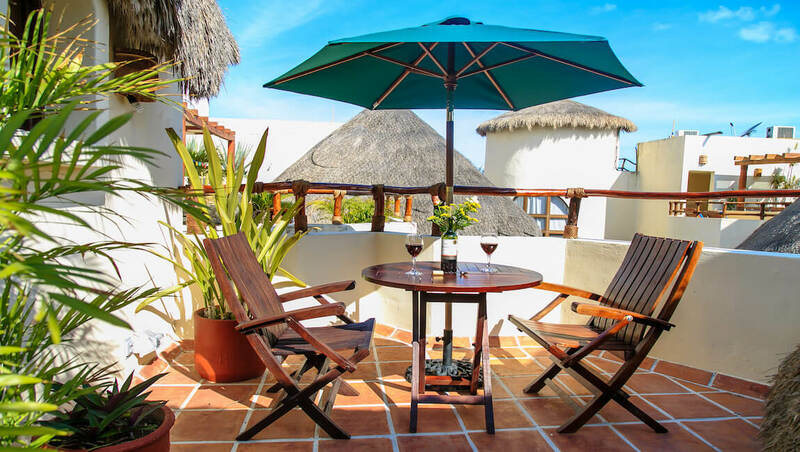 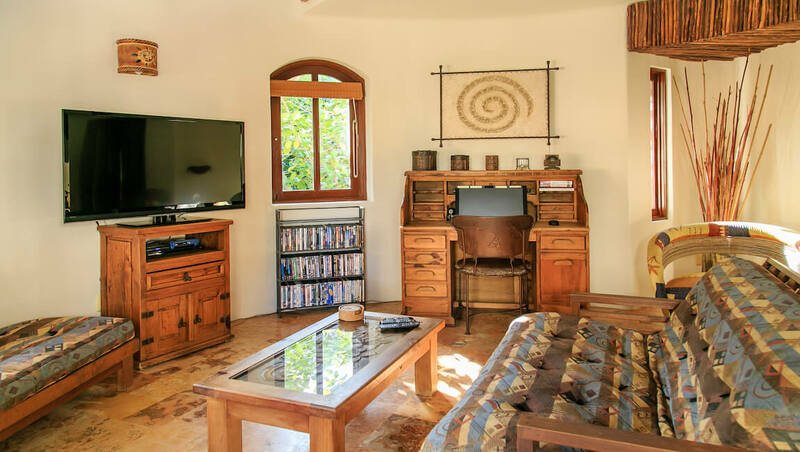 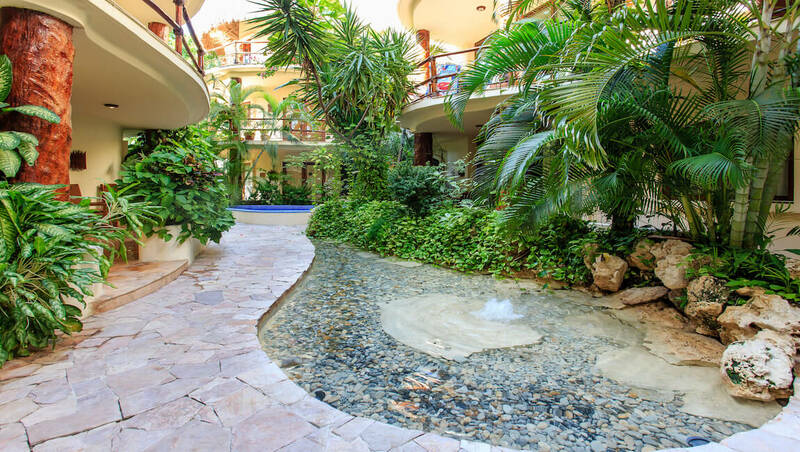 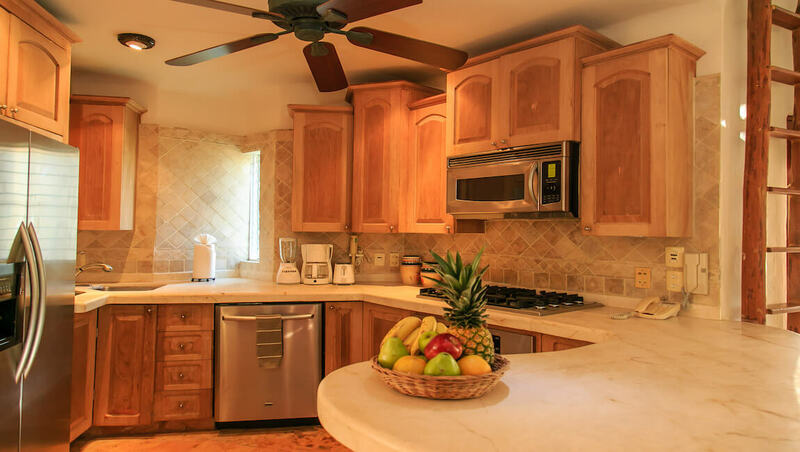 This lovely Playa del Carmen rental is the perfect place to enjoy your Caribbean vacation if you love the nightlife and vibrant atmosphere of downtown Playa del Carmen!